Brush up on counting skills and number recognition in the new school year with these Back to School themed counting clip cards, perfect for your preschool math center! 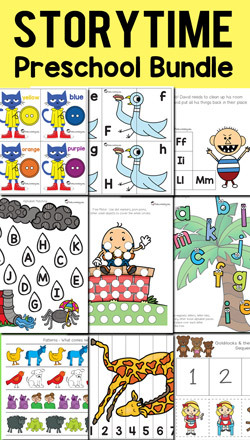 This set of FREE printable clip cards feature adorable, school-themed pictures that your preschooler can count and find the correct number to represent the quantity. Using clips gives this activity the added benefit of fine motor skill practice! Print out the cards on regular paper if you are laminating, or on cardstock paper if you aren't laminating, in order for the cards to be more durable. 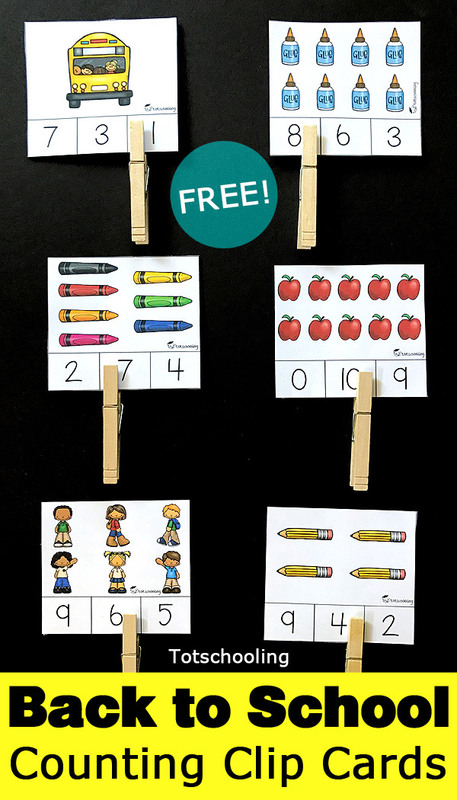 Use clothespins for kids to clip the correct number on each card after counting the objects. 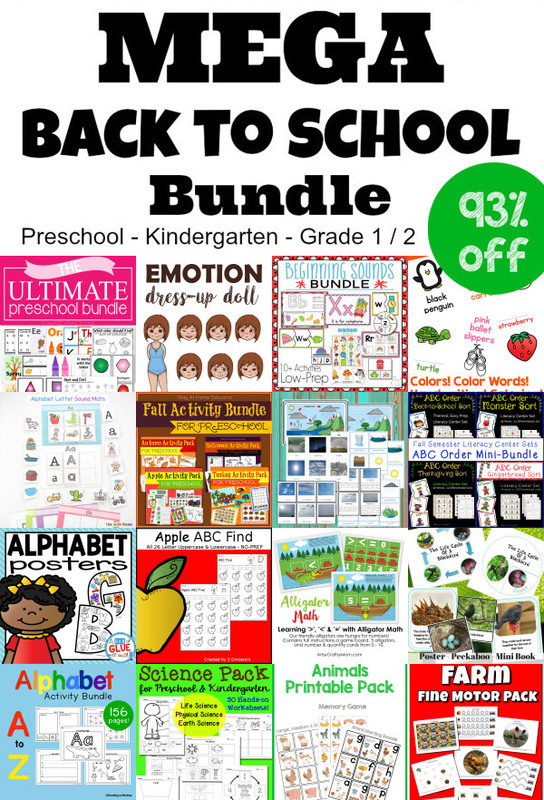 This activity is also included as a freebie bonus in our MEGA Back to School Bundle! Such clip cards help with studying process for preschool children! I think it is a very good idea for preschool children as an idea of using the site that help me to write my essay for schoolchildren and students! It is the site that proposes not only the service of writing essays but also a lot of other services!